Governors Island could soon be home to, well, homes. Or at least dormitories. 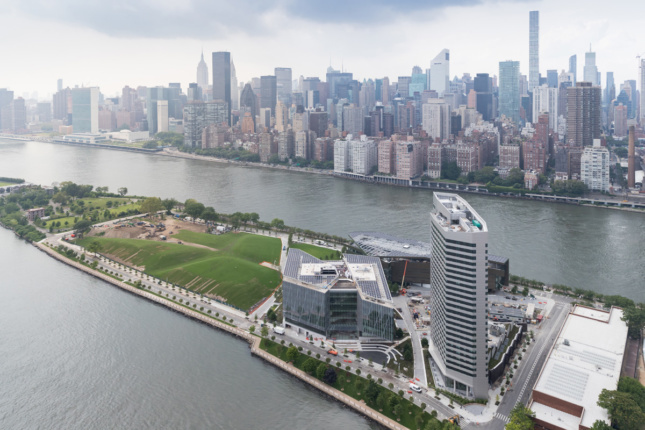 The New York Harbor island could house the city’s newest innovation and education hub while maintaining its identity as a beloved recreational oasis. Crain’s New York reported that City Hall will hold a public hearing next month on its plans to rezone the island’s former military base to make way for a proposed 4.5 million-square-foot, mixed-used development. Mayor de Blasio’s office posted a notice last week about the hearing, which will be the first step in an environmental review process for the project. 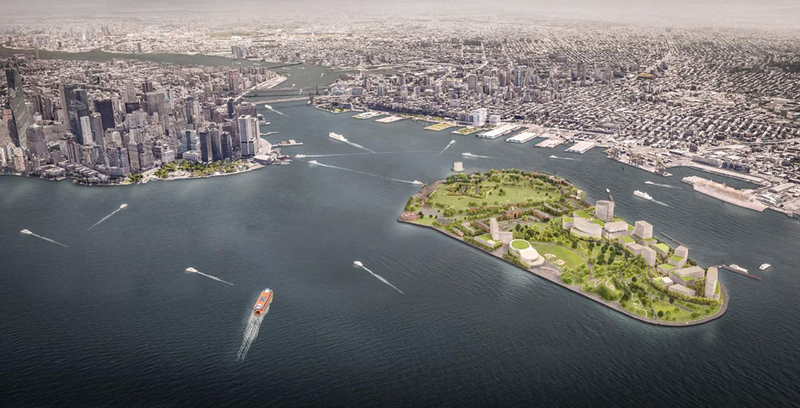 Aiming to attract a combination of tech and life-science firms, educational institutions, dormitories, as well as a convention center and hotel, the city wants to build out the development as a way to enhance exposure for Governors Island. The 172-acre landmass currently functions as a leisurely getaway for urbanites to enjoy during the summer. 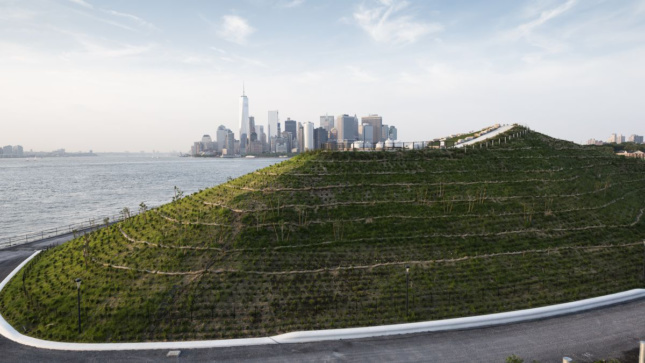 Though city-owned, it’s managed and maintained by the Trust for Governors Island. The new development, which would be constructed on the south side of the island, would help annually fund the costs of the island’s 43-acre park. With this proposal, it seems the city wants to piggyback off the success of Roosevelt Island’s Cornell Tech campus and bring those small island–big money vibes south of Manhattan. Plus, space for ground-up construction in New York is limited and Governors Island remains one of the more barren sites in town. Any new facilities part of the proposal would be built on two plots of land currently zoned for residential development. The problem is that residential construction has long been prohibited on Governors Island, which is why the city wants to first rezone the land before bringing businesses on board. After an extensive public review process beginning with next month’s meeting, City Council is expected to vote on the proposal in fall 2019. If passed, the rezoning would allow low-rise commercial structures to be built on the site as well as proposed dorms and hotel properties that could potentially rise as high as 300 feet. Crain’s also noted that the city has already commissioned a second ferry to take construction workers out to the site. But that won’t be enough to transport future commuters to and from the development, even in combination with an expanded East River Ferry service. That’s why the Economic Development Corporation is in talks to put a gondola between Lower Manhattan and Governors Island, further mimicking the layout of Roosevelt Island, which is reachable via a gondola and the F train. The public hearing for the rezoning proposal is scheduled for September 26 at 6:00 p.m. at the Battery Maritime Building in Lower Manhattan.